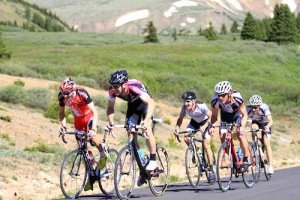 Mike Schultz of Highland Training continues this two-part series about the important role of weight in the sport of cycling. Read Part 1 here. Managing your cycling weight through a season is never an easy task; it takes hard work, time and dedication. The less weight you carry in general, including the weight of the bike, the easier it is to pedal for any duration of time. So how important is it to lose weight on the bike? We all know that losing body weight is the less expensive, most healthy way to go but it takes time, proper weight loss tactics, and smart planning. In this article we are going to look at weight loss both on the bike and your body. Your strength as a cyclist is determined by your power to weight ratio, comparing the amount of power you can produce to your cycling weight as measured by watts per kilogram (we elaborated on this in Part 1). W/kg is commonly explained with body weight alone in order to compare the strength of one athlete to another, but technically the weight of your bike is also a part of this equation, especially when climbing hills. The same athlete will climb a hill slower with a heavier bike since any energy spent towards lifting the bike up the hill is not spent on propelling you forward at a faster speed. So, if you decrease your bike weight while producing the same amount of power, you will have more energy to contribute towards speed. The easiest and fastest way to lose your overall cycling weight is indeed via your bike, and if you decide to go this route, upgrading to a lighter set of wheels is the best place to start. The more weight your wheels weigh, especially the outer weight (the rims, tubes and tires), the more energy it takes to get your wheels turning due to rotational inertia. Reducing wheel weight results in a more responsive, faster accelerating bike. But wheel weight and rotational inertia is only a factor when accelerating and decelerating. While pedaling at a constant speed or while climbing a hill, aerodynamics and total mass are the most significant factors1. Body weight contributes to both total mass and aerodynamics. The less you weight and the thinner you are, the less drag you have. But there is a limit to how thin you can be. Controlling body weight is as important for an elite cyclist competing at the highest level, as it is for a heavy amateur cyclist trying to lose body fat. For elite athletes, it is important to keep in mind proper minimal body fat ranges to maintain proper healthand elite performance levels. Elite male endurance athletes range from 6-13% body fat and female athletes range from 14-20%1, 2. It is important that men maintain higher than 6% body fat and women maintain higher than 14% (see this related TrainingPeaks blog post about optimal body fat percentage). Dropping below these ranges could have a negative impact on both health and performance. So for elite athletes, it is wise to pay close attention to body fat ranges as you train through race season, since an increase in intensity from training and racing combined will burn greater amounts of fat3. Weight gain and loss is all about calories. If you consume more calories than you burn on a daily basis you gain weight, and conversely, if you burn more calories than you consume you lose weight. But for an athlete, greater calorie restricting diets can lead to a loss in lean muscle mass which can compromise strength and performance2. A recommended and realistic weight loss goal for any level of endurance athlete is up to 1 lb. per week4. So, if you have a race weight goal that includes a loss of more than 8-10 pounds of body fat, you need to plan far in advance to achieve both your weight loss and athletic goals. In conclusion, physics tells us that a pound lost from the body or bike is equal. But an extra pound lost from your body equates to more than a loss in weight, if done right it can represent a gain in fitness too. So, it is important to focus on weight gains and losses overall, but it is more importantly to focus on ideal strength and body fat percentage as well as body weight. If you are focused on training hard to make greater gains in athletic strength, along with eating a healthy diet, weight loss will follow in the best possible way.